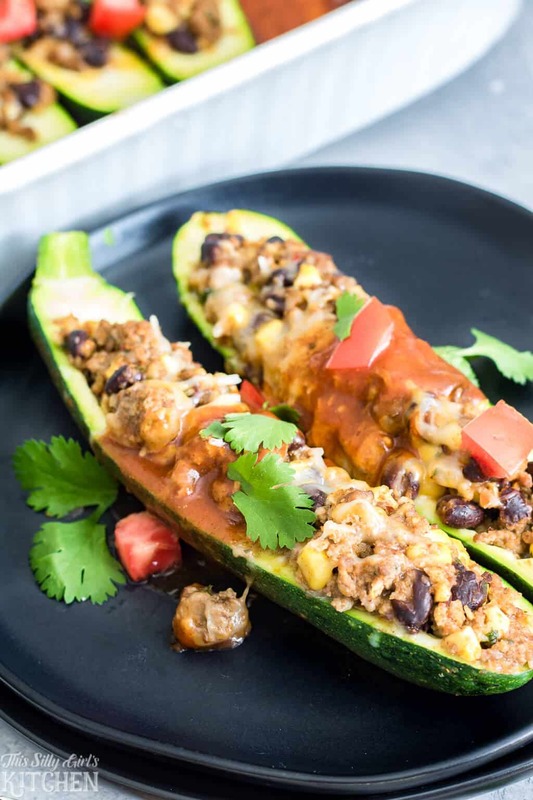 Stuffed Zucchini is a tasty healthy dinner with a fun twist! 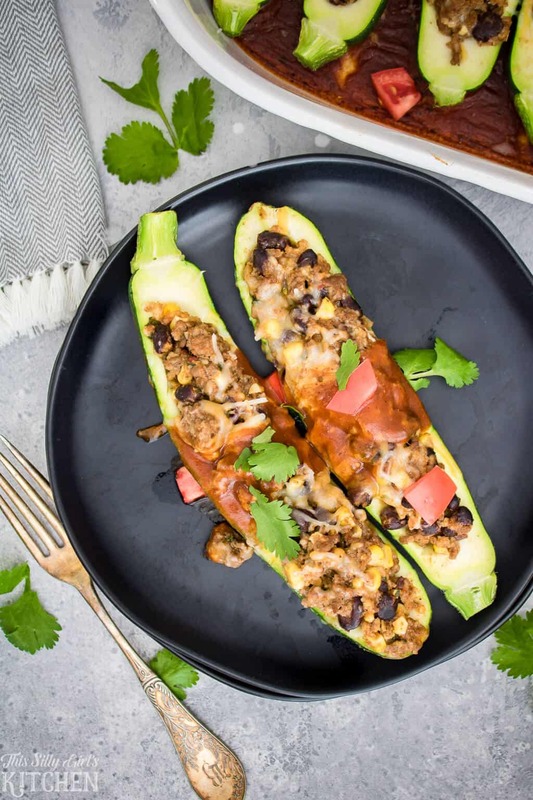 How I normally make stuffed zucchini is with ground Italian sausage or even a lighter version with tomatoes and cheese, more for a side dish. But, this weekend I found these beautiful zucchinis and wanted to try a twist on what I normally make. 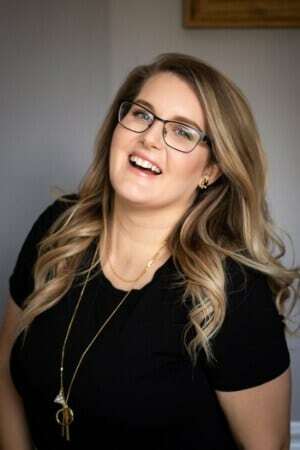 I had done my huge monthly shopping trip at BJ’s Wholesale Club and I was stocked up on all my staples, ground beef, taco seasoning, beans, cheese, etc. 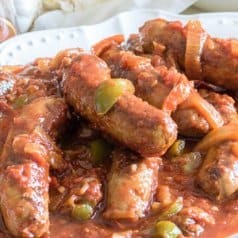 So I knew this recipe had to be made! 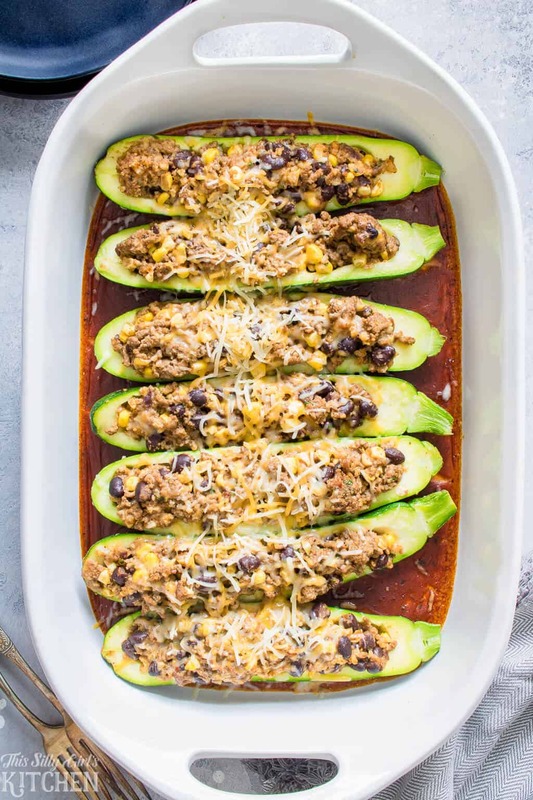 Take me to the recipe for Stuffed Zucchini already! 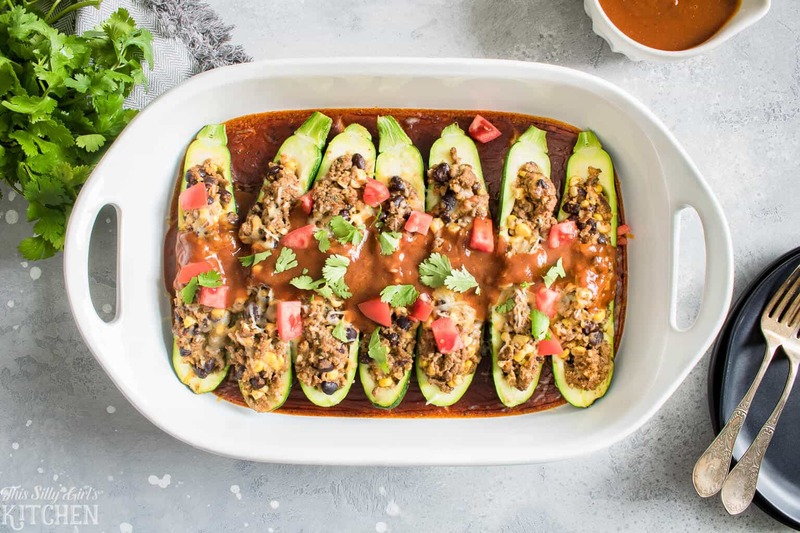 If you would rather not hear my super helpful tips and tricks, FAQ, and my overall awesomeness and get straight to this delicious Stuffed Zucchini – you can very easily scroll all the way to the bottom of this post for the full printable FREE recipe! Bon appetit. They came out amazing! They are so flavorful and satisfying. Admittedly, they are a touch time consuming, if you have ever made stuffed zucchini before you know this is the case. The tedious part is scooping out the insides of the zucchini. I don’t mind though because the flavor of these is so worth it! 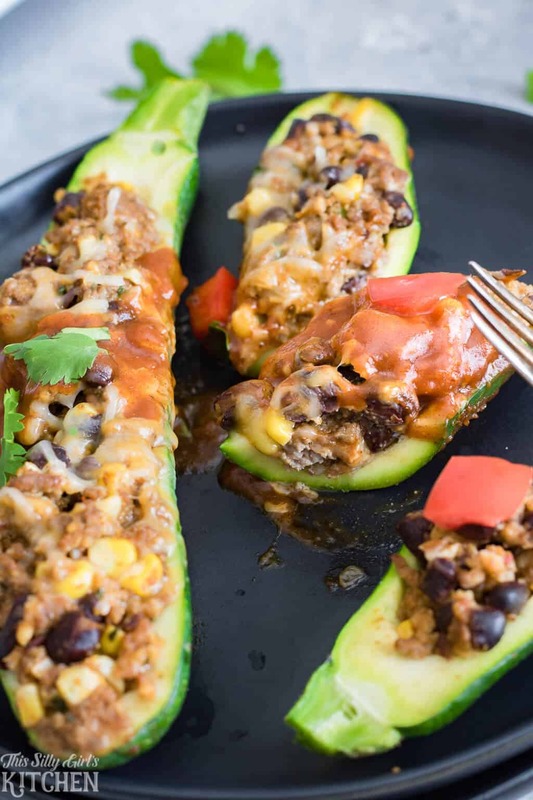 Stuffed Zucchini Boats are so fun to eat! Brown ground beef and drain, add black beans, corn, cilantro, seasonings, and water to the pan. Simmer until most of the liquid is evaporated, set aside to cool. While the meat mixture is cooling, scrape out the zucchini seeds, leaving about 1/4 of an inch of the zucchini flesh left. Set aside. Make the enchilada sauce, spread one cup of the sauce onto the bottom of each serving dish. Mix the meat mixture with one egg, breadcrumbs, and cheese. Stuff into the zucchini boats and place the zucchini into the serving dishes. Bake at 350°F for 30 minutes, take it out, add the remaining cheese and bake an additional 15 minutes. 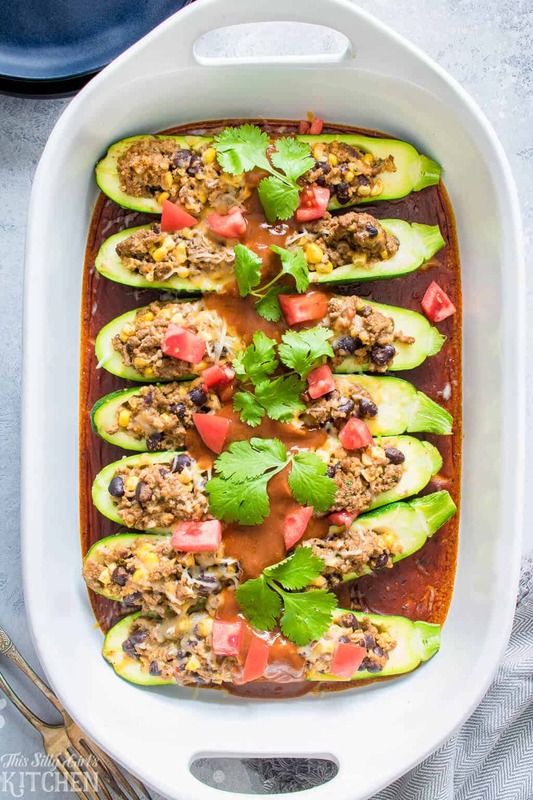 Serve with more enchilada sauce and toppings of your choice. This recipe makes a lot, 2 9×13 baking dishes. I suggest halving the recipe for a smaller crowd. But, they do make wonderful leftovers! Also, this recipe calls for the zucchini “insides” to be discarded, I suggest adding them to soups or stir-fries. You can add them to the meat mixture with the corn and beans but there will be so much filling and not enough boats! Either way is up to you, you can also use any excess filling for regular enchiladas or casseroles. If you like a lot of sauce, I suggest doubling the sauce recipe. 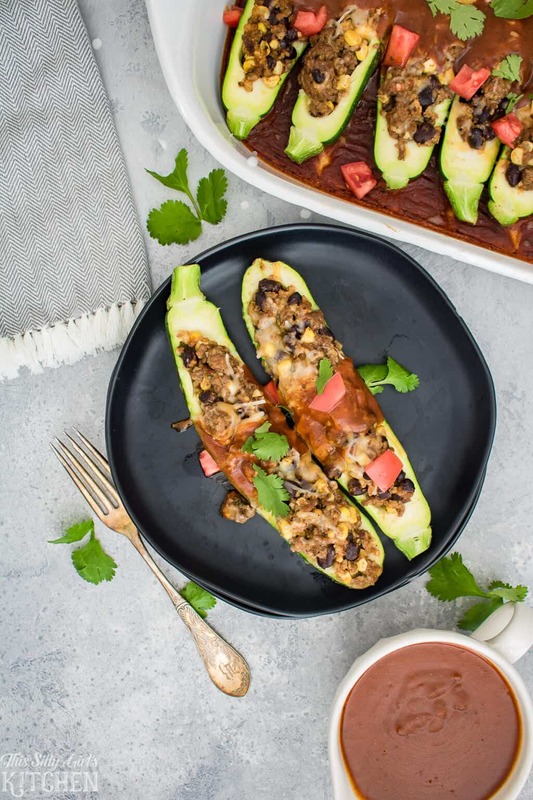 You can’t go wrong with baked stuffed zucchini! I really love that I can get all of my staples in one place: BJ’s Wholesale Club! They have a wide variety of products with great brand names, including their own, Wellsley Farms at amazing prices. I do one large shopping trip a month there then if in a pinch I need to grab a zucchini or two, I don’t have to worry about spending an hour going to another store. 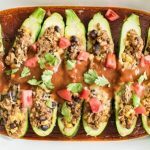 I love stuffed zucchini and this recipe sounds delicious! 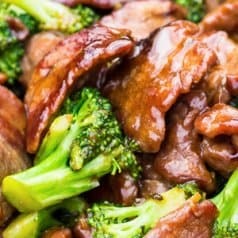 I love the idea of making them a main dish instead of a side dish by adding ground beef. I will definitely make these soon! I made this for dinner tonight. I am cooking for only two people, so after I combined the ground beef, beans, corn and seasoning I took out half to use later in the week for tacos or chili. I added one egg, 1/8 cup of bread crumbs and 1/2 of cheese to the mixture. I made the entire recipe of enchilada sauce because we love sauce! 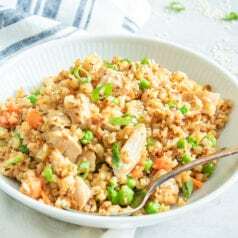 This recipe turned out awesome! So glad I tried it. YAY, I’m so glad you liked it. Thanks for letting us know!